We are confident in the quality of our products and we offer additional IKEA guarantees against various faults. The IKEA Guarantee will be effective when the product purchased at IKEA stores is found to have material or workmanship faults during the guarantee period. In this case, we repair the faulty product or replace it with the same product or refund to a gift card without charging you any further fees. IKEA extends the present guarantee, by taking into account the normal wear and tear of products. The guarantee shall only be valid if the product is assembled in accordance with the assembly manual. Any breakdowns arising from use of the product that is in violation of the terms specified in the user manual, or occurring under extraordinary circumstances, or due to misuse, shall not be covered by the guarantee. Our guarantees start on the invoice date, which also is the delivery date of the products. The guarantee certificate is provided on the back of the invoice. The original copy of the guarantee certificate provided on the back of the invoice must be submitted to the relevant store or service station for the product to be repaired under guarantee. Copies or photocopies of the invoices and guarantee certificates issued for the product shall not serve as substitutes for the guarantee certificate. If we need to replace a product that is under the terms of guarantee but is no longer part of IKEA’s product range, we will provide an appropriate replacement. IKEA reserves the right to discontinue and/or resume the sale of all or part of the products sold at IKEA stores. Products purchased at the Bargain Corner are not covered by the guarantee. You can utilise the guarantee by filing a written or personal application with IKEA Customer Services. The guarantee conditions are set in accordance with the applicable law, regulations, and the useful life of the product. All you need to do to utilise the guarantee is to keep the original copy of the guarantee certificate provided on the back of the register receipt/invoice, to observe the product maintenance advice, and to allow us inspect the products you have purchased. The assembly, use, and maintenance instructions that are provided on the packages should be applied in order to utilise the guarantee. You can access these instructions at IKEA stores or visit our web site. Contact your nearest IKEA store. You will find the address and telephone numbers in the IKEA catalogue and on our web site. You can also pick up GUARANTEE brochures at our stores, to get detailed information. In addition to the guarantee extended under the Law on the Protection of Consumers, IKEA offers the IKEA guarantee to the customers who agree to the terms specified in the present catalogue, for the products specified on these pages, and for the periods stipulated on this page, commencing from the date of purchase. Please read the following pages for details of the conditions of the IKEA guarantee. Knobs, handles and LILLTRÄSK worktop. ERSÄTTARE sliding-hinge for semi-integrated dishwashers and BEHJÄLPLIG sliding-hinge for integrated dishwashers. UTRUSTA wire baskets, TUTEMO, TORNVIKEN and VADHOLMAZ open cabinet have a 10-year guarantee. KNOXHULT is not covered by this guarantee. Please refer to the general conditions section on this page. The 10-Year guarantee is valid for all kitchen mixer taps at IKEA. This guarantee covers defects in materials and workmanship. This guarantee applies to domestic use only. This guarantee does not apply if the products have been used in a corrosive environment. 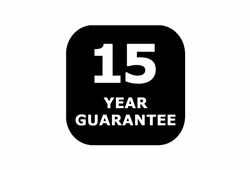 This guarantee does not apply to coated fabric covers, fabric covers and leather covers. This guarantee applies to domestic use only and covers defects in materials and workmanship in the following furniture: GODMORGON furniture, GODMORGON legs, GODMORGON box with com- partments, set of 5 boxes with lids. The guarantee does not apply to TOLKEN counter tops. This guarantee is valid for all bathroom ther- mostatic shower mixers at IKEA. The guarantee covers defects in material and workmanship in all bathroom shower mixers. Our products are tested well beyond all relevant international standards and we use only top brand components to secure our 10 year guarantee promise. This guarantee is valid for BROGRUND and VOXNAN shower head, hand showers, shower hoses, riser rails and shower shelves, VALLAM- OSSE hand shower, shower hose, riser rail and KOLSJÖN hand shower parking bracket, shower hose. The guarantee is valid from the date of purchase and the original purchase receipt is required as proof of purchase. 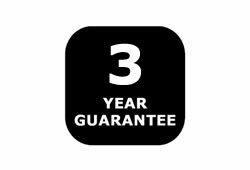 This guarantee does not cover normal wear and tear, cuts or scratches, or damage caused by im- pacts, accidents or waterborne debris. Follow our assembly instructions and care instructions care- fully. This guarantee does not apply to products that have been stored, assembled or installed in- correctly, used inappropriately, abused, misused, altered, or cleaned with wrong cleaning methods or wrong cleaning products. This guarantee does not apply if the products have been used outdoors or in a corrosive environment. It also does not cover accidental damage. For customers in the US only: some states do not allow the limitation or exclusion of incidental or consequential damage, so this limitation or exclusion may not apply to you. This guarantee is valid for all bathroom wash- basins (including water traps) and mixer taps at IKEA. The guarantee applies to domestic use only and covers defects in materials and workmanship in all bathroom wash-basins and mixer taps. This guarantee does not apply to products that have been stored, assembled or installed incor- rectly, or cleaned with wrong cleaning methods, wrong cleaning products, or damage caused by impacts, accidents or waterborne debris. It also does not apply to the filter/aerator of the mixer tap which should be cleaned regularly and replaced when worn out. This guarantee applies to domestic use only. All mattress pads: slatted bed base SULTAN LADE and JÖMNA mattresses. Children’s mattresses and sofa bed mattresses. The guarantee covers defects in materials, workmanship and function on all main parts in the BEKANT desk series and GALANT storage system. The BEKANT screens in the BEKANT desk series and GALANT storage system is not covered under the guarantee. 25-Year Guarantee, Valid for all pots and pans in SENSUELL series. This guarantee covers function, materials and workmanship in the above listed series. Washing in a domestic dishwasher. SENIOR pots and pans 25-Year Guarantee, Valid for all pots and pans in SENIOR series. This guarantee applies to domestic use only and covers defects in materials and workmanship in all SENIOR cookware products. The guarantee covers the base of the cookware. We guarantee that the base will retain its shape and therefore its heat conducting qualities. The guarantee is valid if you wash your cookware by hand. 15-Year Guarantee, valid for all pots & pans with- out non-stick coating. 5-Year Guarantee, valid for all pots & pans with non-stick coating. This guarantee covers function, materials and workmanship in all cookware in the above listed series. .
non-stick properties on non-stick “pans”. This guarantee covers function, materials and workmanship in all cookware in the above listed series. 15-Year Guarantee, valid for all knives in IKEA 365+ series. This guarantee covers function, materials and workmanship in all knives in the IKEA 365+ knives series. This means that, in normal domes- tic use and provided that our care instructions are followed, the knives will still work as well as they did when they were new, even after 15 years. In this instance, normal use is defined as using (for cutting food) and cleaning the knife by hand once a day and regular sharpening. Durable han Durable handle. The handle of the knife should not crack, break or come loose from the blade so that the knife is not possible to use.